300tdi Injector Copper Seals x4 ERR4621Will fit 300tdi Discovery, Defender and Range Rover Classic I..
Defender/Discovery 1 200tdi/300tdi Starter ERR5009RWill fit Defender.Discovery 200/300tdi..
Defender/Discovery 1 200tdi/300tdi Starter ERR5009.. Discovery 1 / Defender Viscous Fan Pulley ERR3735Good used conditionNo damage to pulley.. Discovery 1 10 Spline Diff WIll Fit Range Rover ClassicGood used condition,Will fit Discovery 1 and .. Discovery 1 10 Spline Diff WIll Fit Range Rover Cl.. Discovery 1 10 Spline Nearside Half Shaft And UJGood used conditionRemoved from 200tdi Discovery.. Discovery 1 200 Tdi *New* Water Pump RTC6395.. Discovery 1 200/300tdi Offside Front 10 Spline Half ShaftGood used conditionComplete with open endsA.. Discovery 1 200/300tdi Offside Front 10 Spline Hal..
Land Rover Discovery 1 200tdi 4 Bolt Rear Prop ShaftLandrover Discovery 1 200tdi 4 Bolt Rear Prop Sh..
Land Rover Discovery 1 200tdi Alternator LRB128In good used condition Free UK Mainland delivery.. Discovery 1 200tdi Auto Gearbox Cross MemberGood used conditionComplete with boltsRemoved from 200td.. Discovery 1 200tdi Auto Transfer Box 1:222 RatioGood used conditionPlease check current ratio and pa.. Discovery 1 200tdi Automatic Gearbox And Torque ConverterGood used working condition140k milesAll dr.. Discovery 1 200tdi Automatic Gearbox And Torque Co..
Land Rover Discovery 1 200tdi beige steering wheel, good used condition with some marks due to.. Discovery 1 200tdi Centre Console Electric Window Switches 5 DoorGood used working condition.. Discovery 1 200tdi Centre Console Electric Window .. Discovery 1 200tdi Complete Turbo Manifold And Down PipeGood used working condition30 day parts warr.. Discovery 1 200tdi Complete Turbo Manifold And Dow.. Discovery 1 200tdi Driver Front Window RegulatorGood used working condition..
Landrover Discovery 1 200tdi Engine, removed from manual discovery with 140,000 miles.Good use.. Discovery 1 200tdi Metal Air Box ESR1050Good used conditionComplete used condition from 1993 discove..
Land Rover Discovery 1 200tdi Power Steering Pump In good used condition.Free UK Mainland deliv..
Land Rover Discovery 1 200tdi Screen wash bottle. In good used condition with no damage to bot.. Discovery 1 200tdi Slave Cylinder And PipeGood used working conditionComplete pipe and slave cylinde.. 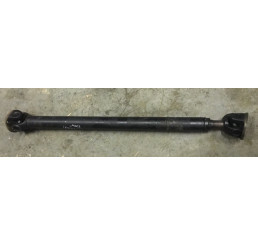 Discovery 1 200tdi/ Range Rover Classic 10 Spline Rear Half Shafts (Pair)Offside and Nearside Rear H.. Discovery 1 200tdi/ Range Rover Classic 10 Spline .. Discovery 1 200tdi/V8 10 Spline Front Half ShaftsGood used conditionAs shown n photo.. 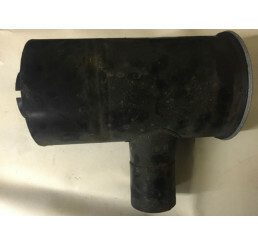 Discovery 1 3 Door Nearside Boot TrimGood used conditionSome marks from useWill fit 3 door Discovery.. Discovery 1 3 Door Offside Boot TrimGood used conditionSome marks from useWill fit 3 door Discovery .. Discovery 1 3.5 V8 Manual Gearbox And Transfer BoxGood used working conditionComplete as shown in ph.. Discovery 1 300 Tdi / Range Rover P38 *NEW* Propshaft Coupling STC2794.. Discovery 1 300 Tdi / Range Rover P38 *NEW* Propsh.. Discovery 1 300tdi *New* Oil Seal Crank Shaft Front ERR4575.. Discovery 1 300tdi *New* Oil Seal Crank Shaft Fron.. Discovery 1 300Tdi *NEW* Oil Seal Crankshaft Rear ERR6818A.. Discovery 1 300Tdi *NEW* Oil Seal Crankshaft Rear .. 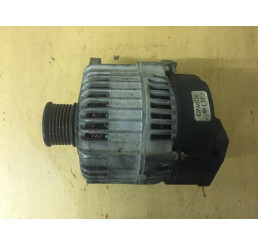 Discovery 1 300tdi Air Conditioning Idler And BracketGood used condition.. 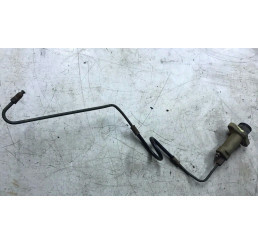 Discovery 1 300tdi Air Conditioning Idler And Brac.. 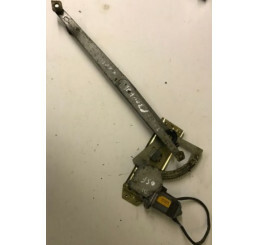 Discovery 1 300tdi Auto Electronic Fuel Pump Accelerator CableGood used conditionAccelerator pedal c.. Discovery 1 300tdi Auto Electronic Fuel Pump Accel.. Discovery 1 300tdi Auto Flyby Wire Injector KBAL90P38Good used conditionPlease check current part nu.. Discovery 1 300tdi Auto Flyby Wire Injector KBAL90..